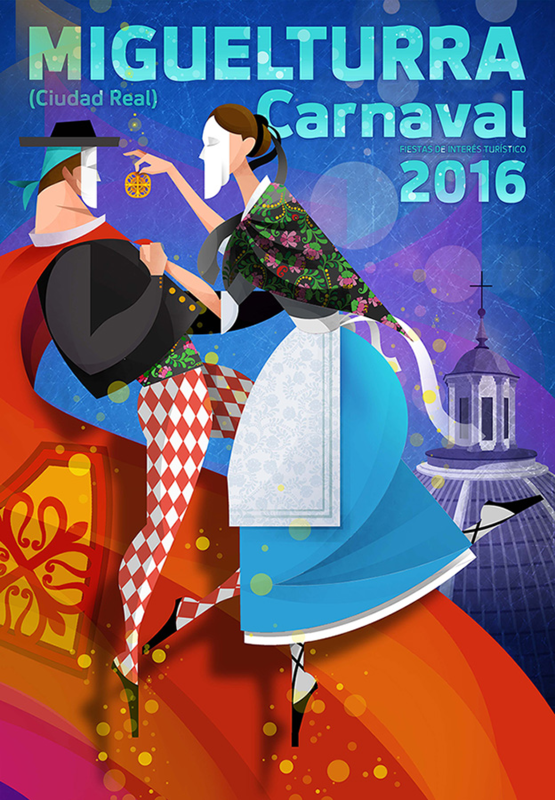 Open the deadline for the contest poster for Carnival 2017. 1. PARTICIPANTS: All those artists who wish to participate may participate, regardless of their nationality or artistic tendency. 2. THEME: Free, admitting only original works and not previously awarded, and can be presented in polychrome. The posters can be made by any procedure, photographic composition, digital system, painting, among others. If computer support is used, a paper reproduction must be attached, admitting a minimum format of A4. 3. 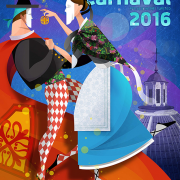 DIMENSIONS: The posters presented will allow printing in 45 by 65 centimeters, with the following inscription on them: “MIGUELTURRA” (Ciudad Real) Carnaval 2017. FIESTAS DE INTERÉS TURÍSTICO. (The name of the town must have a prominent space, being in respect of the province in a proportionality never less than 1 to 5). 4. PRESENTATION: The posters will be presented without signature and with a slogan on the back of them. In a sealed envelope the motto will be expressed and inside it will include the author’s name and surname, address, telephone number, location, email address and affidavit of being the author and owner of the work. 5. REMISSION: Posters will be sent to the House of Culture, Perlerines Street, 26. 13170 Miguelturra (Ciudad Real) from the publication of the rules and until December 9, 2016. The referral will be under the responsibility and risk of the contestants. 6. PRIZE: A single prize of 1,000 euros and gift, a souvenir of the contest, is established. 7. JURY: Will be appointed by the organization. Your decision will be unappealable. 8. EXHIBITION The organization will exhibit the works presented at the House of Culture, from December 16 to 30. These works can also be seen in the authorized galleries dedicated to the Carnival of 2017 through the municipal web portal of the consistory www.miguelturra.es. These will also be announced through social networks where the session has a profile. Non-awarded works may be withdrawn as of February 1, 2017, all during office hours, until March 15. After this date, the works not withdrawn will remain in the possession of this Organization. 9. PROPERTY: The award-winning creation will remain the property of the Organization, which reserves the right to reproduce it. For more information you can contact the Department of Celebrations of the Town Hall of Miguelturra or in the offices located in the House of Culture.